Savour The Chill & Stay A While! Savour the Chill (16th Annual) is a Soup Tasting Contest (12 – 3 pm) at downtown restaurants hosted by the Downtown Belleville – BDIA . Soup samples are $2 each and just the size to allow you try a variety and vote for your favourite. 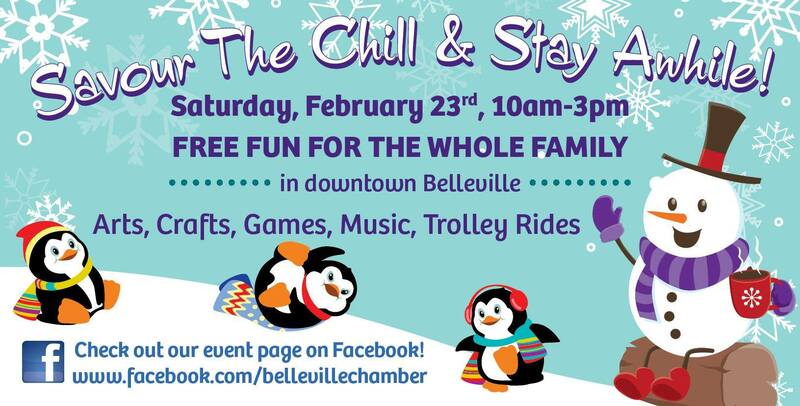 The Belleville Chamber of Commerce has partnered with the event once again with “Stay Awhile”, a free, family festival of arts & crafts and fun activities.